This GelPro mat features a 3/4" thick cushion of Ergo-Foam for relieving discomfort, fatigue and pressure from standing. Protect your feet, knees and back while you cook, clean or work. Beveled edges for added safety. Stain-resistant top surface and slip-resistant bottom. 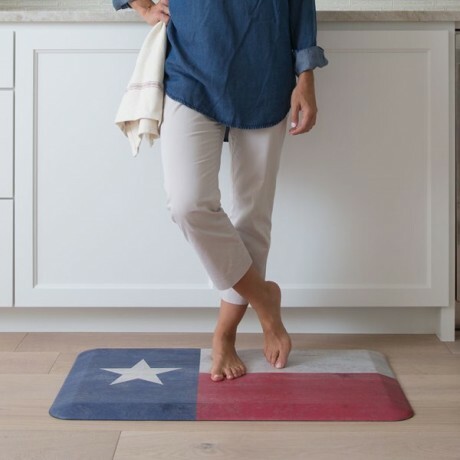 The rustic Texas Flag design will fit in with any decor. Measures 20" x 32". GelPro is based in Austin and products are manufactured in Waco, TX.